The 2.19.21 version of WhatsApp, available through the beta program is available on the Play Store and brings a slight review of 21 emojis, although in most cases you will struggle to find out what the differences are with respect to previous emojis. 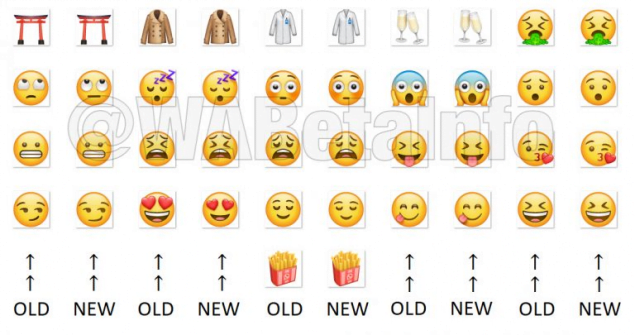 WABetaInfo reveals the differences, which offers us a summary picture with the old emojis and the new ones. In some cases the differences are very evident, as in the emoji with the eyes at heart, now smaller and without the teeth in evidence, but in others the differences are given by thinner eyebrows, eyes without reflections and other similar little things. The new emojis will also arrive in the next stable version of WhatsApp but for now they are reserved exclusively for users of the beta program.